Are we ready for a digital-first financial system? 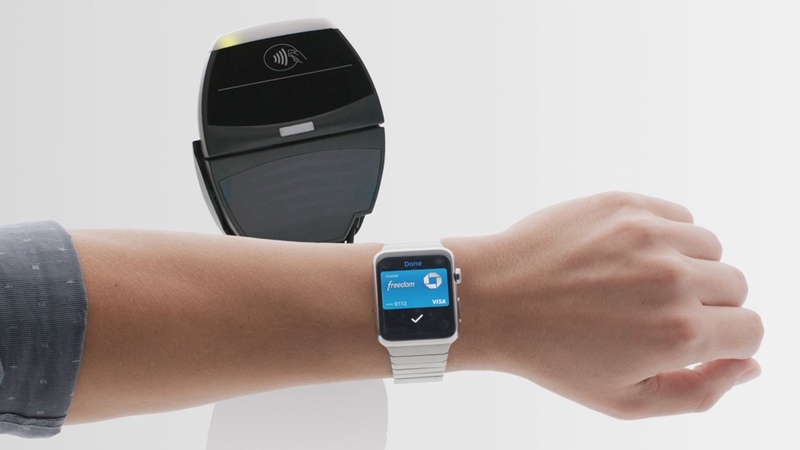 Wearable devices partnered with NFC technology have made it easier than ever before to pay for things. Rather than pulling out your wallet or purse and searching for a couple pieces of paper money, you just tap your wrist to a payment console and you're done. It's convenient, it's fast and it works. That ease of use has some people wondering. Do we even need cash? We can do our mobile banking from our phones – or our wrists – we can pay more conveniently than ever before. Plus, at least right now, going cashless with a wearable just feels cool. It's confirmation that you're living in the future. Going cashless is much easier said than done, however, and there are numerous risks, obstacles and societal habits that need to be undone or mitigated before the cashless society, partly enabled by wearable devices, ever comes to fruition. A couple years ago, non-cash transactions were only 2% of all transactions in India. Today, the country is transitioning into becoming the world's first cashless, digital society. This is despite a 2015 report from MasterCard that said India was one of the least likely countries on the planet to be ready for such a transition. That transition is helped by the fact that India is still a developing country, Vivek Wadhwa, distinguished fellow at Carnegie Mellon University College of Engineering tells Wareable, rather than a developed country like the US or UK. India can afford to rebuild its infrastructure with a focus on the future. "The trouble here is we're so comfortable, we have credit cards," Wadhwa says. There is no dire need for Americans, for instance, to want a new kind of financial infrastructure. However, for a developing country it can level the playing field. "For people in the developing world, it's the difference between being left out versus now being able to participate in a new economy," he says. "Now being able to buy anything and to benefit from these advances in technology. For them, it's life changing, transformative stuff." The benefits speak for themselves. Seamless and simple transfers of money, reductions in street crime and petty theft and it's harder for criminal gangs to launder money – which was one of India's big problems. In India, achieving the cashless society is an intensive and long process that requires years of digital infrastructure. "In the developing world the first thing you need to do is provide them with the basic technology, provide them with the education on how to use it," Wadhwa says. "And then there's the problem of digital identity. How do they get bank accounts, how do they now use all of this stuff when they don't have any identity?" In 2009, India introduced Aardhaar, a biometric database of Indian citizens built on 12-digit digital identities authenticated by fingerprints and retinal scans. As of 2016, 1.1 billion Indians - about 95% of India's population - were registered into Aardhaar. Last year, India complemented that with India Stack, a way to securely store and transfer information like addresses, bank statements, tax filings and employment records. Those two things together allowed Indians to open bank accounts across the country. And while smartphone penetration is way behind that of developed countries – just 22% of the population own one – it's rising at a rapid 18% per year. In America or the UK, where wearables are starting to boom, you'd think that would mean a transition to a cashless society would be easy, but old habits die hard. The only way to get people interested in going cashless, Wadhwa says, is for banks and companies to offer incentives to use cashless payment systems. Apple, for instance, has dipped its toe into this by offering discounts at select retailers for using Apple Pay, but it needs to be even more aggressive than that. Ian Bright, a senior economist at ING and author of its report on cashless societies, says their study found that the data backs up the claim that a cashless society may be easier to achieve in a developing country than a developed one. He points out that mobile payment structures were pioneered by banks and mobile companies throughout Africa before eventually making its way up to Europe as an example. However, he also notes his survey was online based, which may skew the results. The study found that around 40% of respondents in Italy, Turkey and Romania said they would go cashless if it were up to them. This is higher than the average European consumer (34%), Americans (38%), and UK citizens (21%). One of the toughest cash habits to break seems to be paying for smaller items with cash. Bright says there's a tipping point at about $50 where people start to pay with non-cash methods like cards or debit. "It's handy to have for small-level transactions, just buying a newspaper or getting something off the station attendant, like sweets or a cup of coffee," Bright explains. "It works, it's easy. And if it works, there's no need to change it." But the move to a cashless society isn't all rosy. "A cashless society has more danger to humanity than probably any single item of technological progress other than, perhaps, AI," Scott Shay, chairman of Signature Bank, tells Wareable. While going completely cashless has many benefits, it also has many risks that could be taken advantage of by nefarious parties like hackers and abusive governments. Privacy and freedom of payment are two of the central heartbeats behind the potential consequences. Ransomware attacks, like the recent one in the Ukraine, where hackers hack systems and hold valuable information hostage in exchange for money, would likely become even more prevalent should an entire society go cashless and digital. While violent in-person crime would likely go down, cyber crime would step into replace it. If everyone has a digital account tied to their money, hackers and criminals would quickly shift their focus. Bright's study found that there was a trade-off that people were making when they were going cashless. While most people actually believed non-cash payments were more secure than cash-based payments - largely because cash can be lost and easily stolen - they recognized they were sacrificing their privacy. In countries where privacy was a larger issue, like the US, UK and Germany, cash and the desire to not shift into a cashless society was more entrenched, Bright says. Criminal hackers aren't the only thing we have to worry about according to Shay. Governments and other entities would have more control over people's financial states than ever before. "If the government ever decided it wanted to find an individual or punish an individual they could make it impossible for anyone to give that person any currency," Shay says. "That would be pretty powerful, people could die of starvation on the streets if they're not allowed to buy anything." That would mean the government could limit the ability of people to pay for certain things, like recreational drugs, quite easily. Shay says some of these limitations already exist. For instance, big banks in the US cannot be conduits for sales of controlled substances, even in states where those substances are legal. There are also limits on what people can buy with food stamps. If a government really wanted to make its citizenry more healthy, for instance, it could more easily make it harder for people to buy fatty foods or sugary snacks. "It's not that farfetched, don't forget that the government at one point stopped the Visa and MasterCard networks for being used for online betting," Shay says. Another potential problem with going cashless is that many cashless advocates say it's an opportunity to enact negative interest rates, a fairly new economic trend in countries like Japan where banks pay to lend money. This is difficult to pull off in societies with cash because people can always horde their cash, but in a society where there is no cash, negative interest rates are easier for banks to pull off. However, Shay warns that negative interest rates in a cashless society also means that banks would essentially be confiscating people's money. Will there ever be a cashless society? Wadhwa says it could happen in the next decade or so, as countries like China and India complete their transitions in the next five. "The rest of the world will leap ahead and America will learn from other countries what the benefits are, and suddenly you'll have some special offers and people will start using it," Wadhwa says. One country that might have shown us the immediate future is actually Australia. While developed countries like the US and UK may be hesitant to jump into a cashless society for numerous reasons, Australia isn't hesitating for a second. Despite Australian survey respondents largely being in line with the US in not wanting to fully turn into a cashless society, the country is looking to have its modern payment system, the New Payment Platform, ready by the end of the year, Adrian Lovney, CEO of NPP Australia, tells Wareable in an email. "The New Payments Platform was born from an industry that saw the need for a plan to support the future of payments," Lovney says, "Already the Australian public has embraced electronic payment methods – chip cards (particularly contactless or 'wave and pay' technology), BPAY, direct entry – and new technologies such as smartphones. But for this evolution to continue, our basic payments infrastructure needs an upgrade to enable a shift to immediate payments – and that's exactly what the Platform will enable." Australia started this process way back in 2014, and when it's fully up and running it'll allow Australians to be able to easily pay for things in real time between bank accounts. The system basically mimics cash in digital form. For example, Lovney says an NPP payment between two strangers, like at a farmer's market, would work just as it does with cash. Other benefits of NPP include the ability to add data or information to a payment, like attaching links or documents. However, while the NPP will enable Australians to live as if they were in a cashless society, the country itself will not be a cashless society. Merchants and regular people will still be able to use and save cash as they wish. "Some people will always prefer to use cash because of the anonymity that it provides, which is why cash is likely to remain in use for some time, meaning 'less cash' is more likely than cashless," Lovney says. If the world ever did fully convert to a cashless society, however, Shay points out the potential of the rise of alternative currencies, like how cigarettes became a currency in Europe after World War II. Or how underdeveloped countries with strict governments develop their own currencies. "The more you go into underdeveloped areas, the more alternative currencies like cigarettes or something else become feasible," he says. "People in these underdeveloped societies recognize instinctively the risk moreso than we do, because many of them live under quite coercive governments that you don't want to trust all your means of exchange with the governments."